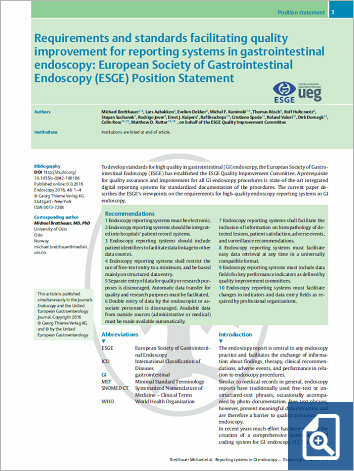 2 Endoscopy reporting systemsshould be integrated into hospitals’ patient record systems. 5 Separate entry ofdata for qualityor research purposes is discouraged. Automatic data transfer for quality and research purposes must be facilitated.